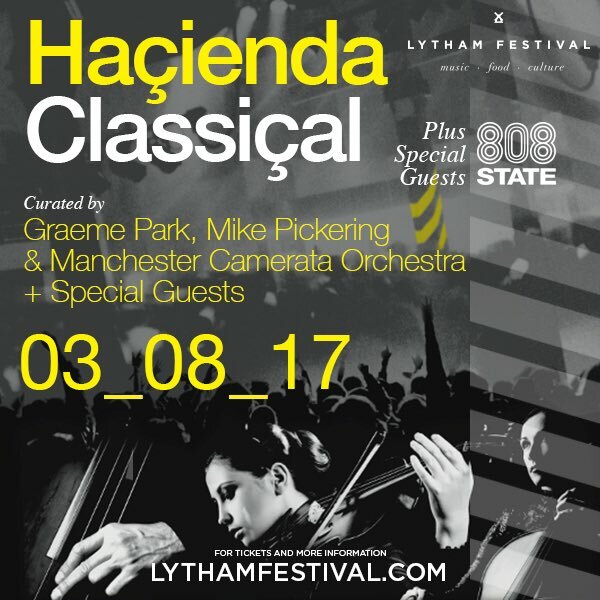 808 State are playing live at Lytham Festival, Lytham Green, Lytham St Annes on Thursday 3 August 2017 as part of Hacienda Classical. 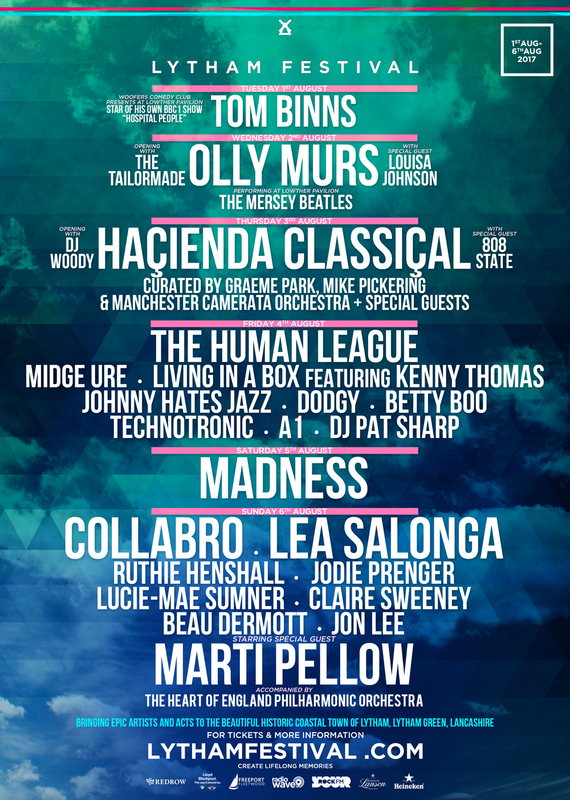 Tickets. Thursday 3rd August, I set off from Watford at 12pm, arriving at Lytham about 4pm (via 4 trains), headed to Guesthouse (10 min bus journey) and checked in there, but I forgot my phone charger at this point so knew I couldn't go mad with facebook and any other apps. Headed back to Lytham for something to eat, not much there for quickness tbh, a chippy at 1 end of the high st and a kebab shop at the other, so grabbed a little bite before heading to festival,. I got to Gate 1 only to be told the Box Office is at Gate 2, so waddled down there and collected my guest ticket from there, then spent 5 minutes walking up and down the aisles where everyone queues to then walk past security without being searched although 1 guy asked if I had a blade in my flat cap (reference Peaky Blinders). Made my way into the festival and managed to get central but a little way back from the stage, managed to see Carl before 808 came on, the Dj also played some good tunes including Bombscare. There was a cheesy Saturday morning type radio presenters wooing the crowd up and said they would be back to announce 808, but lucky MC Tunes came on stage and did that job, "Old Skool Gangsters". 808 came on and immediately had cameramen in there faces, 1 in front of Carl's drum kit and 1 to the side of Andy & Graham, The sound was great and seeing Graham, Andy & Carl on the big screen smiling and laughing was cool too. The NEW tracks seemed to go down very well, people around me getting their groove on. Pacific came on and Graham was playing a tune on keys before the Sax, after a while I twigged it was indeed Lift, also there was an acid sound over most of Pacific too, loved it. after that I got bored and was aching from standing in the same spot for 4 hours, off I went to find some food, but everything was closed, apart from the kebab shop, by the time I got my pizza the shop was mobbed, managed to catch the bus to the guesthouse and keep my pizza flat till I got back to my room. Thanks for the report Pete!